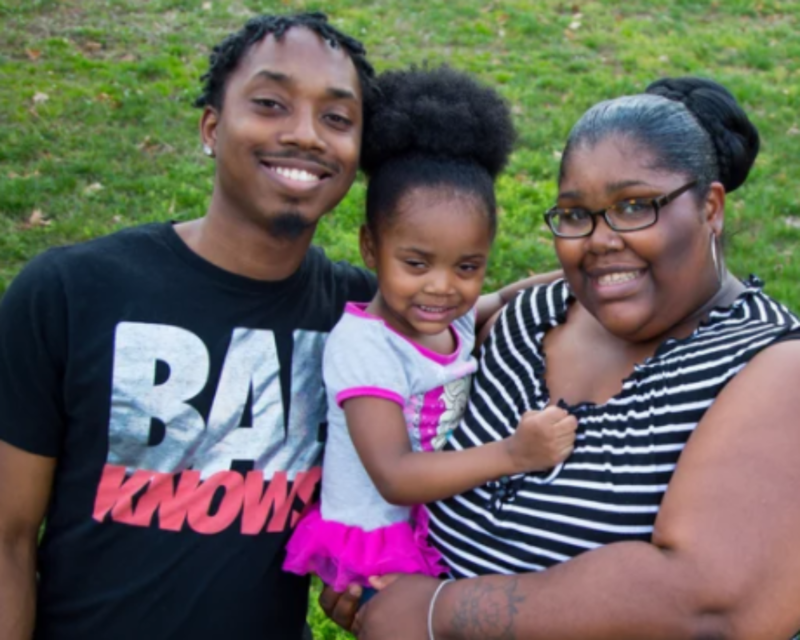 In 2016, Family Lifeline Parent Educator Laura Chalk nominated Tiara and Rondy Strange to receive an award for their participation in the organization’s home visiting program. In a video released by the organization, Laura shares her decision to honor Tiara and Rondy for their shared commitment to providing the best for their daughter through the Parents as Teachers model. Below are some excerpts from that video. Tiara: When [Laura] came over at first, I was kind of hesitant because I really didn’t understand what the program was really about. But when she came over, and she started explaining, it was very helpful. And I had a better understanding of everything, so it was a go. That’s when I got [Rondy] on. I started telling him that you can be in the meetings as well, not just me and Ashanti, because it’s family. Rondy: In every relationship, and as far as parenting, it’s not always perfect. When you look at other families, you don’t always see the perfect picture like you see in movies…every family, operates under certain standards. With this little one right here, it’s quite a challenge, but I’m having fun at the same time. I’m really happy I gave this program a chance. [Family] Lifeline is awesome. [Speaking to Laura]: It didn’t really seem like it was your job to do what you do because when you came over and you communicated with us and you talked to us with these visits and whatnot, it just felt more than a work-related thing. Tiara: Yeah, it was like you were being a friend to us. At the time, I didn’t have anybody to talk to. I knew I could go to my mom, but some information you don’t want to go to your mom about. I always had Miss Laura to contact. It wasn’t [always] an appointment. I could just text her and get information, and it was like she was always there for me. It was like she was the older sister like I always wanted. And I just love her.